If you live in the Southeast like I do, then check out Best Hikes With Dogs – Georgia And South Carolina. You might recognize a few hikes from the website in the links below…. If you already have the book and wish to provide any comments or corrections to the trails listed, then please click to feedback and send me an email. In the second edition, I’ll update any changes that I receive here and give you recognition in the opening section. If you want to see other books in the Best Hikes With Dogs guidebook series, click here for a link to the website. I hope the guidebook has helped you explore some of the great backcountry trails in Georgia and South Carolina, and that you get to spend some quality time with your dog in the wilderness. Rebel, who is featured on the cover, was our trail companion for nearly 12 1/2 years, and I have many great memories from our time together in the backcountry. I’m sad to report that he is no longer with us – but his spirit lives on at this site. Follow this link for more on Rebel and his many days on the trail, and I wish you the best on your own backcountry experiences with your dog. 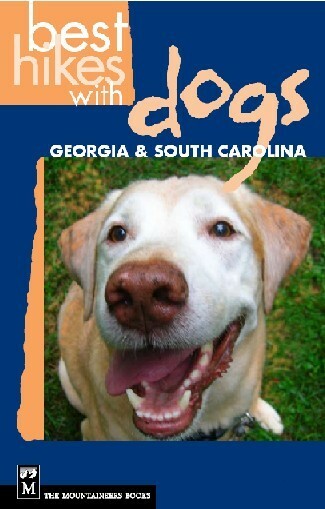 Do you know anything about Tallulah Gorge in regards to dogs? PET RULES: For animals’ safety, pets are not allowed on the gorge floor or on any trail accessing the gorge. Leashed pets are still allowed on rim trails.